In 1993, Mortal Kombat II introduced the supreme ruler of Outworld; the emperor Shao Kahn. 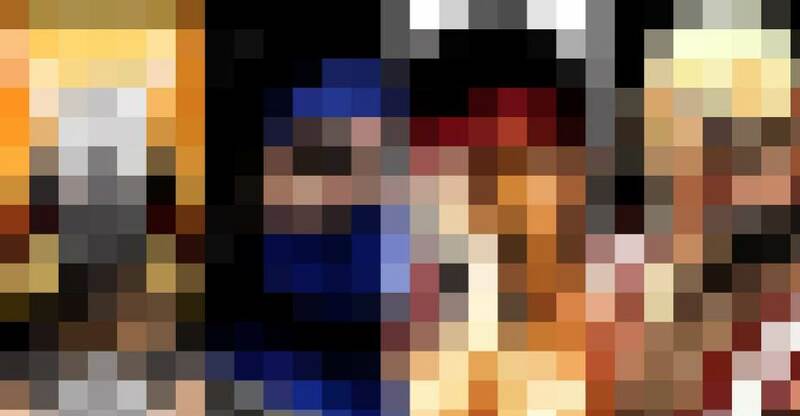 Since then, he has remained one of the Mortal Kombat series’ primary antagonists, often serving as the final boss. Shao Kahn is a ruthless conqueror who sets his sites on Earthrealm, hoping to rule it alongside Outworld. Prevented from taking the realm by force, Shao Kahn is required to earn 10 consecutive victories in the Mortal Kombat tournament by the Elder Gods. Only then will Earthrealm be his for the taking. After 9 consecutive victories, his champions are ultimately defeated by Liu Kang and the Earthrealm warriors. After the crushing defeat, he lures their champions to Outworld, laying the seeds to invade Earth regardless of the outcome. Shao Kahn is a massive warrior, sporting a warlord style outfit. He rarely removes his Warlord Helmet, and features spiked shoulder pads, all while wielding his oversized Wrath Hammer. His appearance is captured perfectly in a new 1/12 scale action figure by Storm Collectibles. Our friends at Bluefin have sent along the figure for us to check out. Read on for my thoughts and a full gallery of the figure. 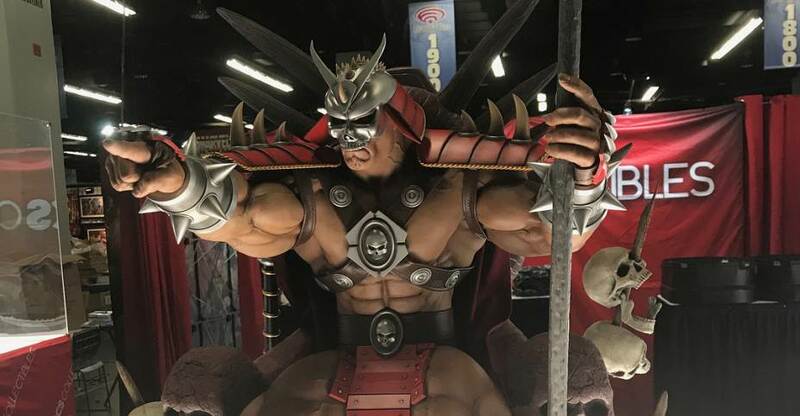 Pop Culture Shock Collectibles has posted photos and full details for their upcoming Mortal Kombat – Shao Kahn On Throne 1/3 Scale Statue. 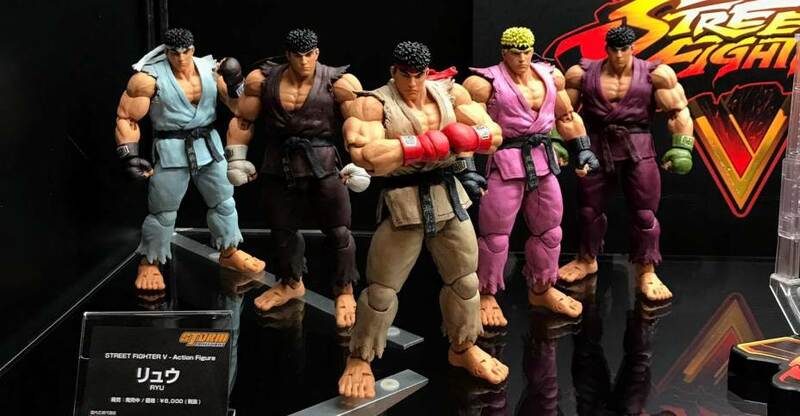 The statue will be available in standard retail and PCS Exclusive versions. The standard version include Shao Kahn sitting atop his throne, holding a scepter. The PCS Exclusive version adds in an additional unmasked portrait, a swap out hand holding the head of Onaga, and light up LED effects. Pre-orders begin today at 3:00 PM Pacific Time. The statues are extremely limited. Only 200 standard versions will be released, and only 100 exclusive versions will be available. The statue will be priced at $1,499.99. Payment plans will be available with the statue set for a Summer 2019 release. See photos, pre-order links, and additional details after the jump. 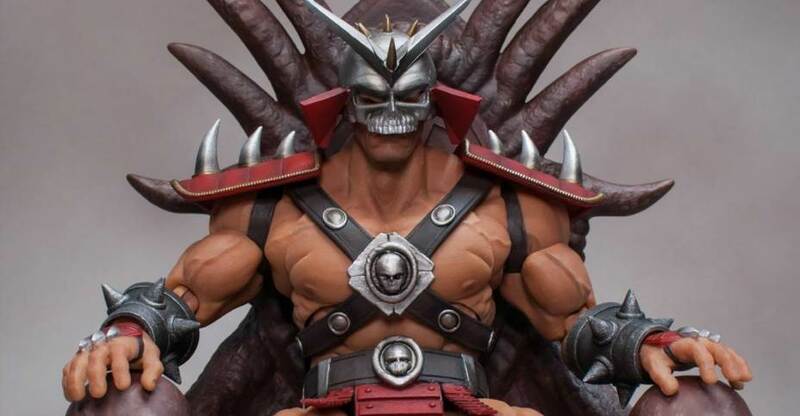 Pop Culture Shock Collectibles has shared some images of their Mortal Kombat – Shao Kahn On Throne 1/3 Scale Statue. The statue was on display at Wondercon this past weekend. We will update with more photos and details when they become available. See the photos after the jump. 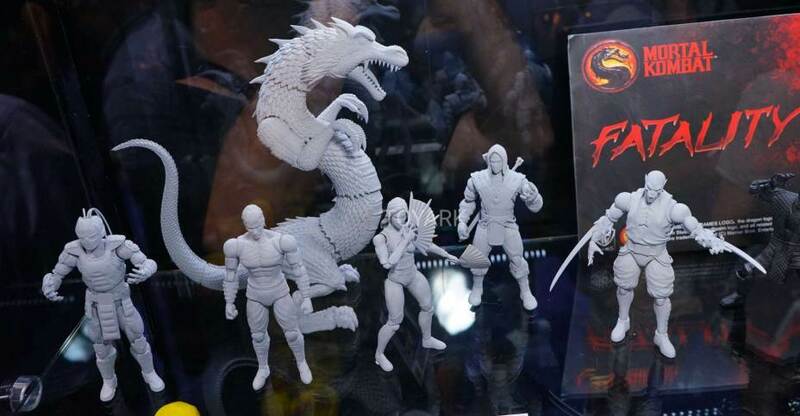 Fans looking for some new Mortal Kombat figures should like what they see from the Bluefin display at Toy Fair 2018! 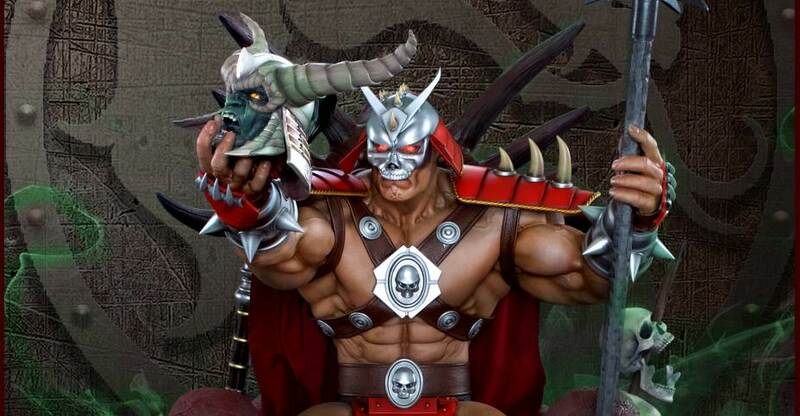 Storm Collectibles brought the Goro figure back, their soon to hit Shao Kahn along with some new Ninja repaints. 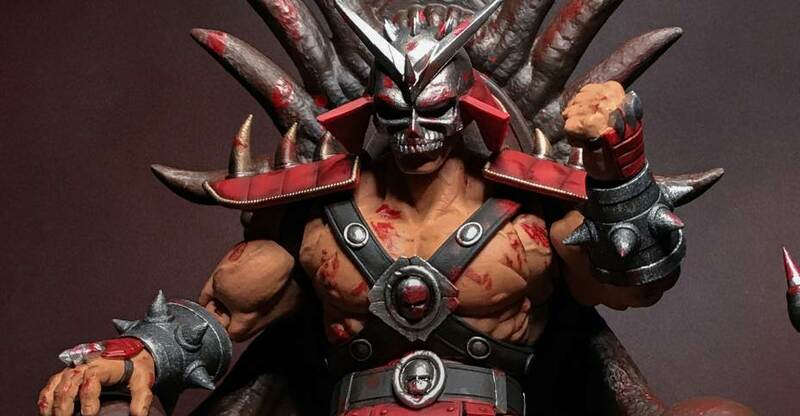 Toyark sponsor Big Bad Toy Store has opened up pre-orders for the Mortal Kombat – Shao Kahn 1/12 Scale “Bloody Edition” Figure. The figure, by Storm Collectibles, will be a Bluefin Exclusive. 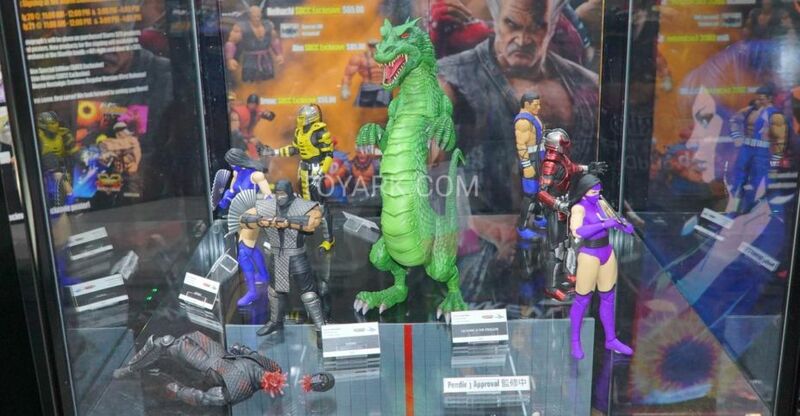 Other than being a blood splattered version, the figure looks to be the same as the standard Shao Kahn figure. The figure includes interchangeable hands, a removable helmet, a hammer, and a throne. It’s priced at $94.99 with a release set for February 2018. Read on to see the photos. Shao Kahn first appears in Mortal Kombat II in 1993 as the final boss and main antagonist. Shao Kahn was Outworld’s protector and an advisor to the realm’s rulers, Onaga. The Mortal Kombat tournament prevents him from taking the realm by force, but if Shao Kahn’s champions win 10 consecutive tournaments, Earthrealm will be his. As long as his champions Shang Tsung and Price Goro do not fail him, he will be victorious. 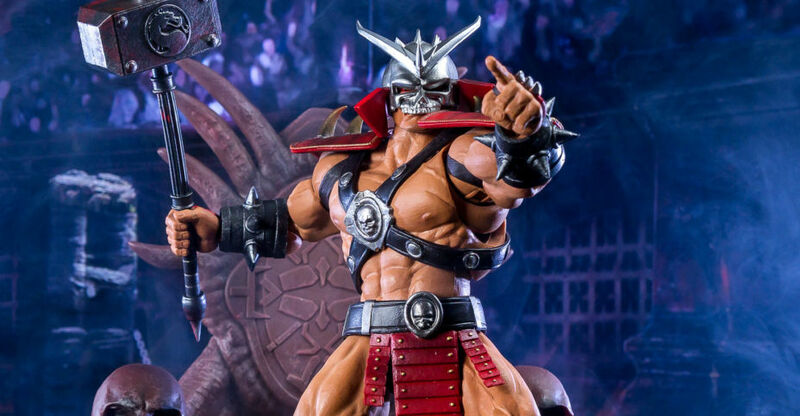 After first being teased over one year ago, Storm Collectibles has now released official details and photo for their Mortal Kombat Shao Kahn 1/12 Scale Figure! The figure will include the massive throne we’ve seen as recently as San Diego Comic-Con 2017. The figure will also include multiple interchangeable head sculpts, his helmet, his Wrath Hammer and an assortment of swap out hands. The figure is scheduled for release in the fourth quarter of 2017 and is priced at $95. Read the details below and check out the photos after the jump.